WYSIWYG (what you see is what you get) editors are used to create text and media content that appears to the creator as it will upon publication or print. This means those creating text or other pages/presentations can view and edit their content in a mode that excludes the HTML. While the code still exists, it is not the default viewing setting of these rich-text editors, but rather it exists in a separate tab or setting. WYSIWYG editors are useful tools for those wishing to create internet content but who have no programming or code writing knowledge, or for those who do have coding knowledge but wish to view projects in their final format. They are often utilized within the context of website building, app development, and content management, allowing users to visualize content before completion or publication. WYSIWYG Editors reviews by real, verified users. Find unbiased ratings on user satisfaction, features, and price based on the most reviews available anywhere. 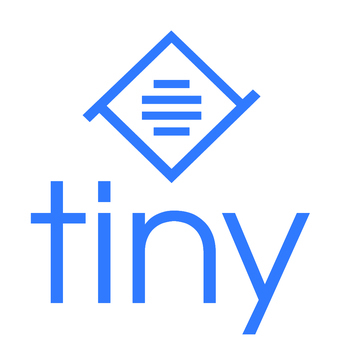 TinyMCE is the rich text editing platform that helped launch Atlassian, Medium, Evernote, and more. Our mission is to help developers build beautiful content solutions for the web. TinyMCE is also the easiest rich text editor to integrate into your products and solutions. Available via cloud, self-hosted and hybrid deployments, developers can also use our integrations with popular frameworks including React, Angular and Vue. WYSIWYG HTML and CSS editor derived from Nvu. CKEditor 4 is a browser-based rich text editor. Its plug-in based architecture allows bringing common as well as advanced content processing features to the web. With almost 15 years in the market it serves as a battle-tested editor, when you need multiple features and legacy compatibility. CKEditor 4 is distributed under the GPL, LGPL, and MPL Open Source and commercial licenses. Amaya is a Web editor, i.e. a tool used to create and update documents directly on the Web. VisualEditor gives you the ability to edit without needing to learn wikitext markup, as is required by the default wikitext editor. Quill is a free, open source WYSIWYG editor built for the modern web. With its extensible architecture and a expressive API you can completely customize it to fulfill your needs. ContenteTools is a WYSIWYG editor for HTML content. With Sandvox, anyone can build websites on a Mac easily and quickly, with no HTML expertise. All from an interface designed for those who want great results, without hassles! 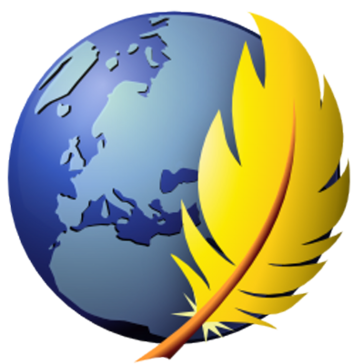 Deepest Sender is a blogging client for Firefox. Text Control Reporting combines the power of a reporting tool and an easy-to-use WYSIWYG word processor embeddable in .NET applications. Write, edit, and improve your HTML using website creation software with customizable keyboard shortcuts and toolbar buttons. enVision software makes large volumes of digital multimedia content easily and quickly accessible also provides WYSIWYG layout editor. EditLive! is a Java based WYSIWYG text editor. MobiLoud builds and maintains customized mobile apps for brands and publishers that want to improve user experience and drive traffic and engagement with push notifications, by converting their website into native mobile apps. MyWiFi Networks offers a completely customizable Guest WiFi captive portal management platform. NetObjects Fusion is powerful Website Design Software that has earned critical praise and worldwide recognition as one of the fastest, easiest ways to build, manage and promote websites. Textbox.io is WYSIWYG HTML text editor designed for desktop and mobile devices. Web Wiz Rich Text Editor (RTE) is a free WYSIWYG HTML RTE that replaces standard text areas with an advanced Word-style HTML area. A full-stack WYSIWYG packet editor for Pcap. Hi there! Can I help you find the best WYSIWYG Editors solutions?